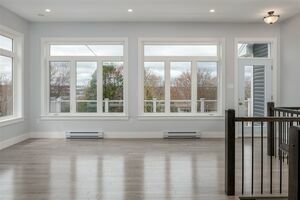 Allow the natural light to flow through & for you to enjoy the panoramic views. 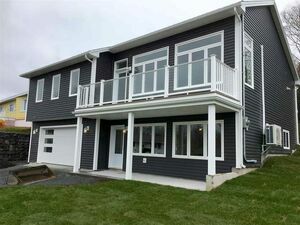 21 MicMac Drive, Dartmouth (MLS® 201907367): A stylish new home which screams ‘designer’ & will reflect the personality & taste of those accustomed to the best in quality design, finishes & lifestyle. The high ceilings create a style as timeless as the sparkling lake view. 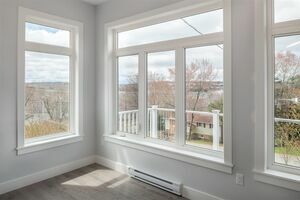 The calming vista of MicMac Lake & the city skyline, captured through the extensive use of glass, will help wash away life’s stresses. 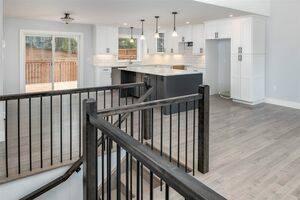 Relax on the balcony with a glass of wine with friends to enjoy the spectacular sunsets. 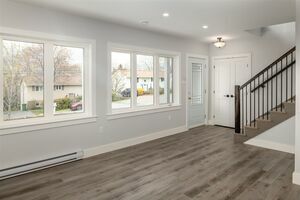 With the open concept design that offers a spacious way to open up your home for your family and guests, connects the indoor space with the outdoor living space & allows natural light to sweep through this contemporary raised bungalow. 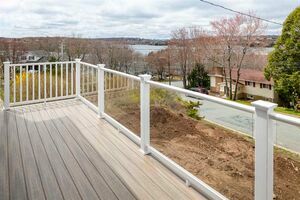 21 Micmac Drive truly needs to be viewed to fully appreciate all that this 4 bedroom, 3 bathroom home has to offer. It will impress.